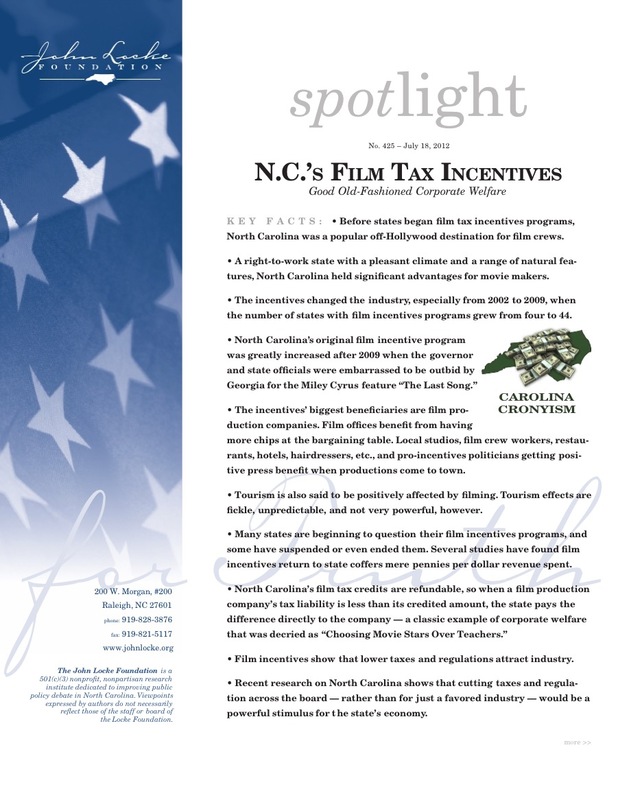 • Before states began film tax incentives programs, North Carolina was a popular off-Hollywood destination for film crews. 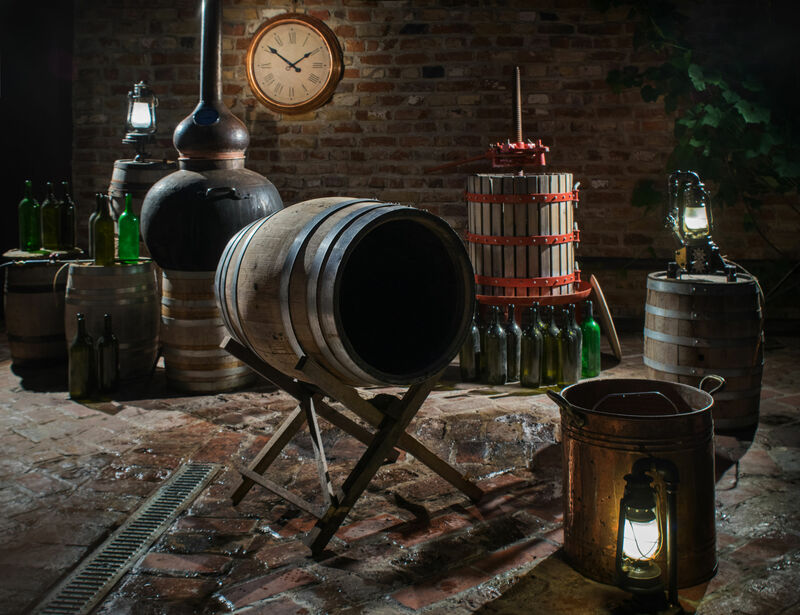 • A right-to-work state with a pleasant climate and a range of natural features, North Carolina held significant advantages for movie makers. • The incentives changed the industry, especially from 2002 to 2009, when the number of states with film incentives programs grew from four to 44. • The incentives’ biggest beneficiaries are film production companies. Film offices benefit from having more chips at the bargaining table. Local studios, film crew workers, restaurants, hotels, hairdressers, etc., and pro-incentives politicians getting positive press benefit when productions come to town. • Tourism is also said to be positively affected by filming. Tourism effects are fickle, unpredictable, and not very powerful, however. • Many states are beginning to question their film incentives programs, and some have suspended or even ended them. Several studies have found film incentives return to state coffers mere pennies per dollar revenue spent. • Film incentives show that lower taxes and regulations attract industry. • Recent research on North Carolina shows that cutting taxes and regulation across the board — rather than for just a favored industry — would be a powerful stimulus for the state’s economy.